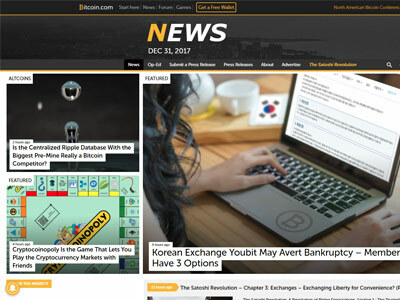 The oldest and most established source of news, information and expert commentary on Bitcoin, blockchain technology and the digital currency industry. 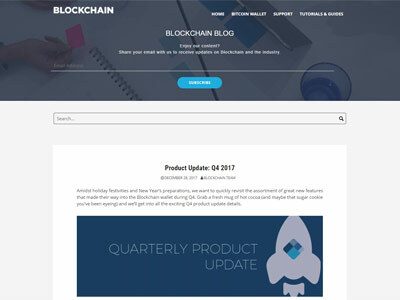 Founded by Peter Smith, Blockchain blog is dedicated to the latest news about blockchain, wallets and updates in the cryptospace. 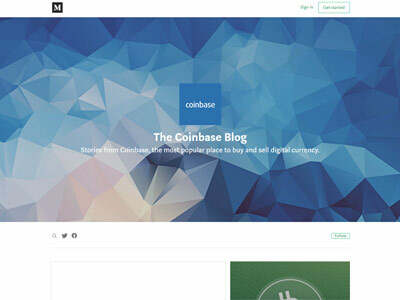 Coinbase blog is dedicated to the latest crypto world news and recommendations, including stories from Coinbase, the most popular place to buy and sell digital currency. 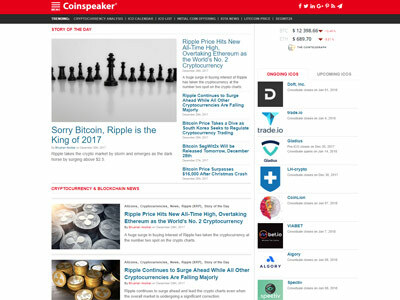 With over 450,000 unique visitors per month, CoinSpeaker covers every aspect of the bitcoin and altcoin markets, featuring a mix of regular tech wraps, daily and weekly market updates, features, interviews and much more. 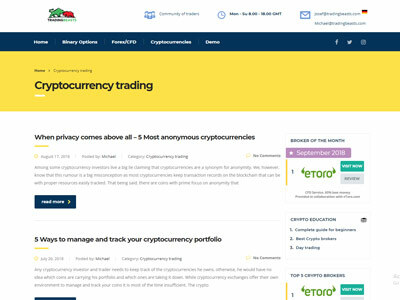 A one stop resource for finding anything related to the cryptocurrencies world including Bitcoins, Altcoins and, crypto trading. 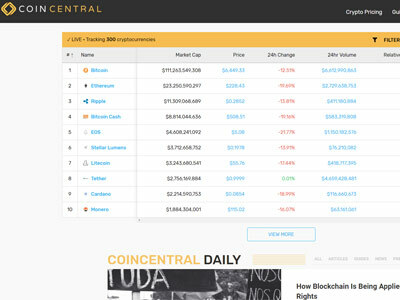 Coin Central present new developments with cryptocurrencies and blockchain move at the speed of light--and so should you if you want to catch the waves of opportunity. 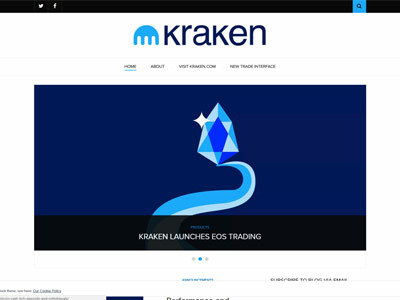 New coins, exchanges, scams, and opportunities are popping up everyday as the crypto universe expands. Your knowledge base has to expand with it, and they’re committed to only sharing the knowledge we consider 100% useful and 100% accurate and trustworthy. 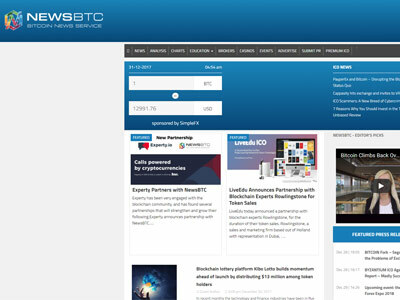 A reliable source of fair, honest, and accurate, free of bias and influence BTC news, suggestions, recommendations and reviews in fields of cryptocurrencies, ICO's and exchanges. 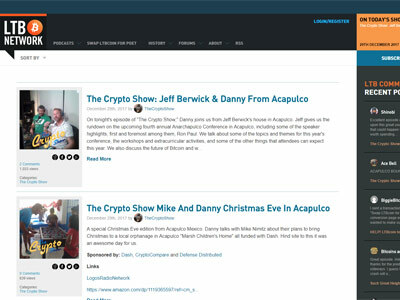 Founded in 2014, TheMerkle brings the latest crypto, finance, infosec, and tech news. 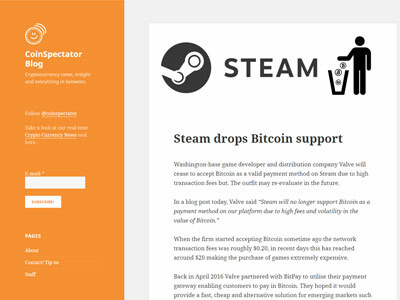 It also compares exchanges and cryptocurrencies. 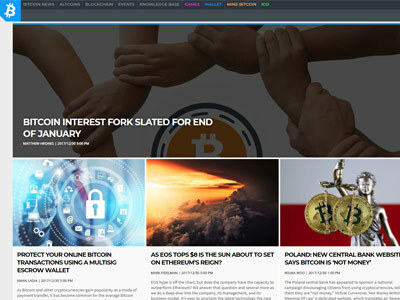 Coinidol is an international crypto and currencies media outlet focusing on the latest news about Bitcoin and altcoins, Blockchain and distributed ledger technology solutions, FinTech and financial innovations on the world's market. 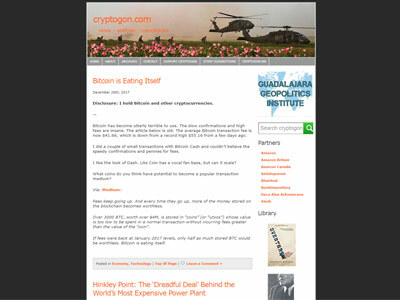 Lets Talk Bitcoin presents the ideas and people involved with cryptocurrency through podcasts, articles, and discussion forums. 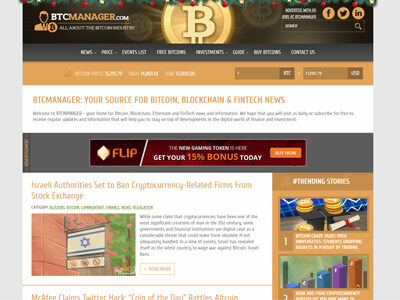 Use The Bitcoin presents the most important and relevant Bitcoin and Cryptocurrency news. 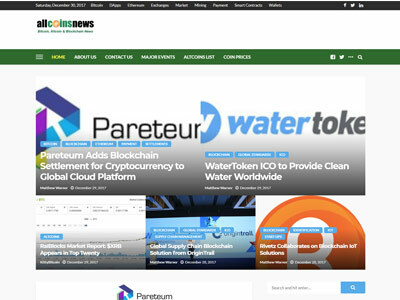 They cover all things from new coins, ICOs, and Blockchain information. 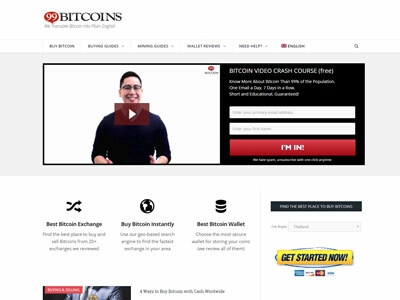 99 Bitcoins is the largest information source for non technical newbies including Bitcoin basics, Bitcoin trading tips and techniques and even information about mining Bitcoins. 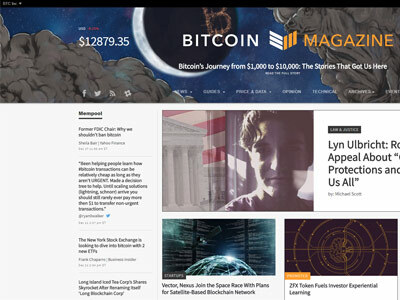 Founded by Kevin Flaherty, Cryptogon strives to disseminate information and perspectives that have been ignored, covered up or otherwise belittled by government, media, and corporations. 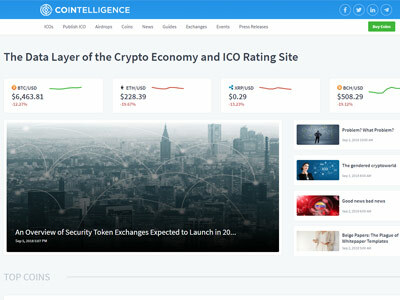 Cointelligence, feel that there is a growing need in the entire crypto community for an impartial and accurate rating system. The felt so strongly about this that they created their own impartial rating system. 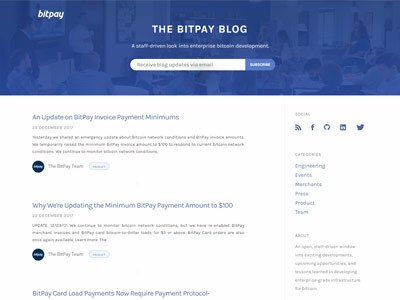 An open, staff-driven blog bringing insights to exciting developments, upcoming opportunities, and lessons learned in developing enterprise-grade infrastructure for bitcoin. 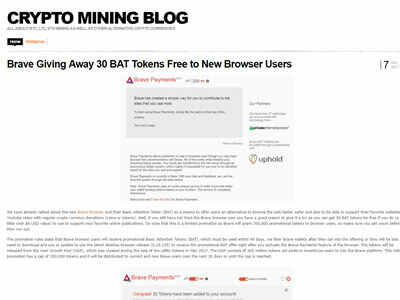 A wonderful blog for cryptocurrency miners and users of Bitcoin (BTC), Litecoin (LTC), Ethereum (ETH), ZCash (ZEC) and many others. 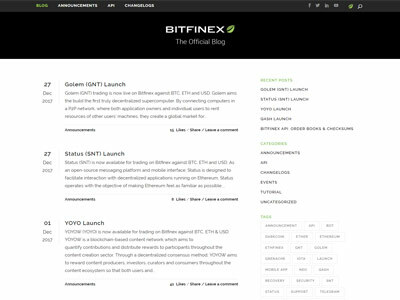 The blog of the Bitfinix website, provides latest news about trading coin pairs added on Bitfinex. 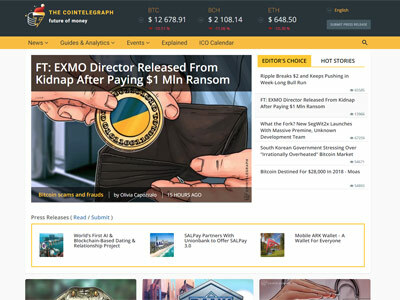 The news lets investors keep track of all coins available to trade. 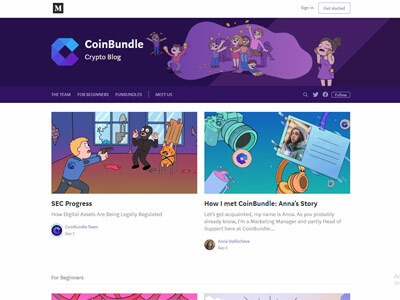 CoinBundle is the easiest way for people to invest in cryptocurrencies responsibly. 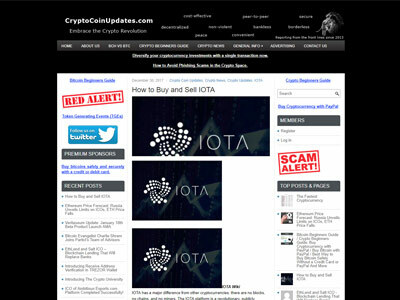 They provide a wealth of information and take all the hard work out of investing, letting you build your portfolio according to your needs. 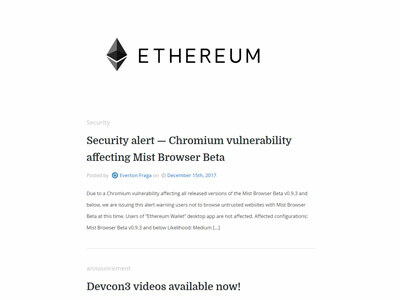 Ethereum blog is dedicated to world's second cryptocurrency ethereum, it features latest news, developments and announcements related to ethereum. 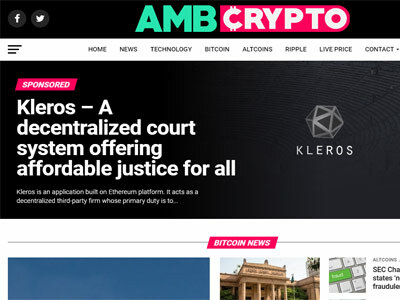 The website dedicated to the promotion of the Crypto Revolution – a non-violent revolution that is enabling peer-to-peer trustless (bankless) transactions within peer-to-peer economies driven by decentralized blockchains. 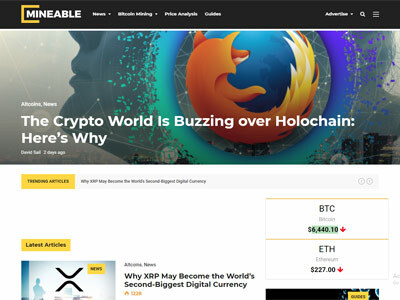 Minable is a one-stop source for exclusive cryptocurrency news & innovations in Bitcoin mining. 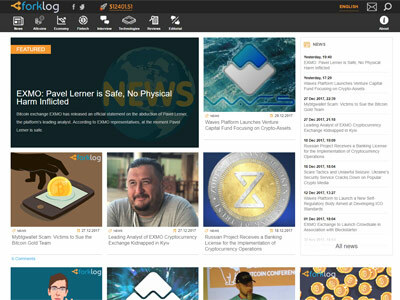 Bringing you the latest news, guides on Ethereum mining, GPU mining hardware & software. 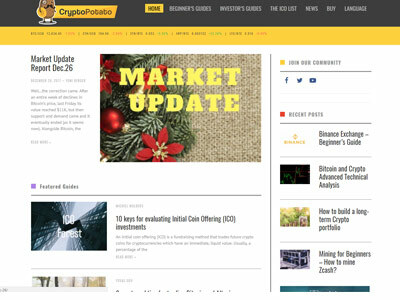 Tutorials and reviews about blockchain technology, price analysis & market predictions. 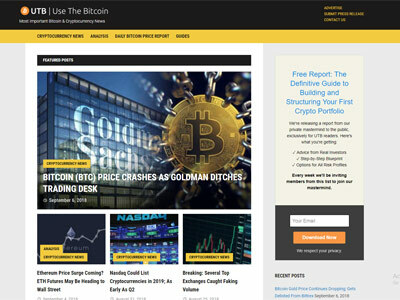 TradingBeasts is a blog about day trading cryptocurrencies, forex and other CFD instruments. 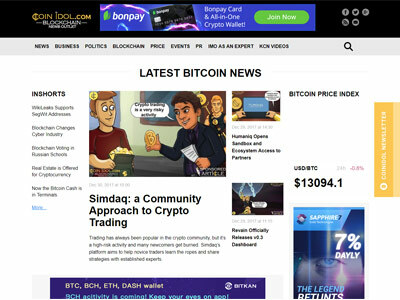 They publish news from the crypto world, warn about scam brokers and systems and compare the best-regulated brokers on the market. Founded by Darren Rowse of Problogger fame, Digital Photography School helps both beginner and advanced Photographers get to grip with the techniques and tips they need. 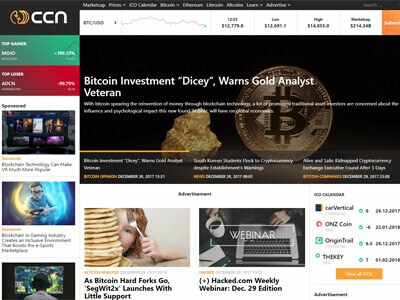 Owned by Asia tech media, Allcoinsnews.com provides news and information on the Bitcoin and the digital currency industry. 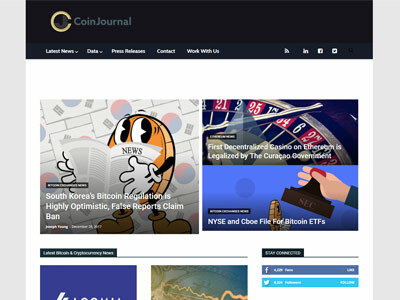 CoinJournal brings the latest Bitcoin, cryptocurrency and blockchain news from around the world. 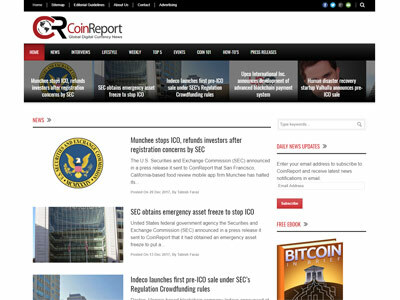 CoinReport provides the most accurate (unbiased) and up to date news and analysis on cryptocurrencies and anything related to them. 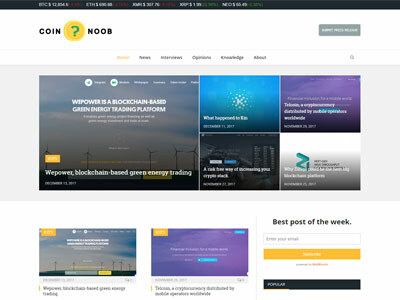 Founded by Pascal Thellmann, CoinNoob provides easy to understand but detailed information about cryptocurrencies, their usage and tips related to saving them securely. 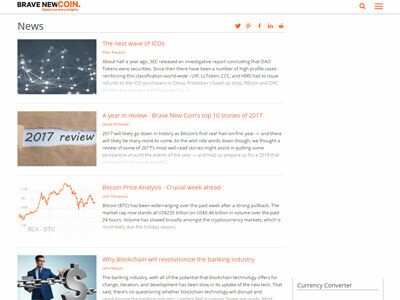 Brave New Coin (BNC) is a Blockchain and Digital Currency Market Data company, which publishes technical analysis and research, used by key decision makers. 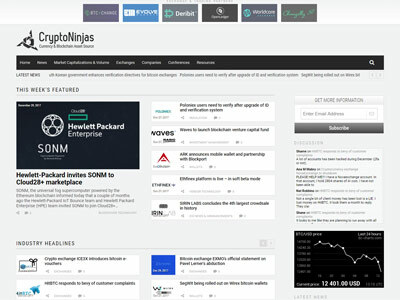 CryptoNinjas is a global news and market research website that supplies economic and industry information related to the cryptocurrency sector. 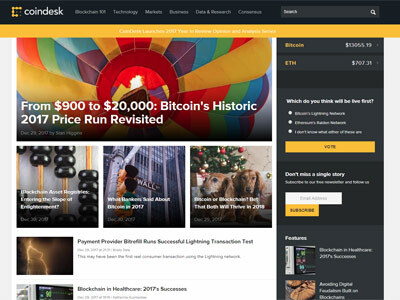 ForkLog keeps track of news, covering the events and conferences, interviews with Bitcoin community figures, and so on. 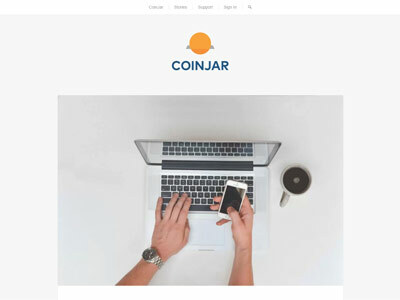 CoinJar blog, providing latest news and announcements related to the CoinJar website as well as the general cryptocurrency space. Did you know? 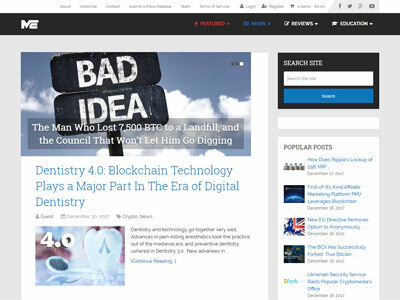 Search engine traffic is the primary source of visitors to most of the cryptocurrency blogs above.